Brave Combat Federation will initiate the second semester of 2018 with the much-awaited entry to the continent of Africa with Brave 14. Mohammed Shahid, president of the promotion, elaborated the rationale behind selecting Tangier, Morocco as the venue. He made sure to praise the country for its MMA talent and willingness to welcome the promotion with open arms. Brave 14 is set for August 18th, at the Omnisports Indoor Club. The event will be hosted under the patronage of His Majesty the King Mohammed VI of Morocco. Shahid emphasized that Morocco is the ideal point of entry for Brave Combat Federation to initiate its operations in Africa. Apart from being the home country for the organization’s Lightweight champion, Ottman Azaitar, Morocco recently spearheaded a bid to host the 2026 FIFA World Cup. “We’ve been looking into the continent of Africa since the beginning of Brave Combat Federation. It’s an honor for us to hold an event in Africa. It was very important to wait for the right moment to come to Africa. Whenever Brave enters a continent or a region, we always wonder how can we benefit the sport as a whole. And no other country that we have analyzed is better to start the African journey for Brave Combat Federation other than Morocco. 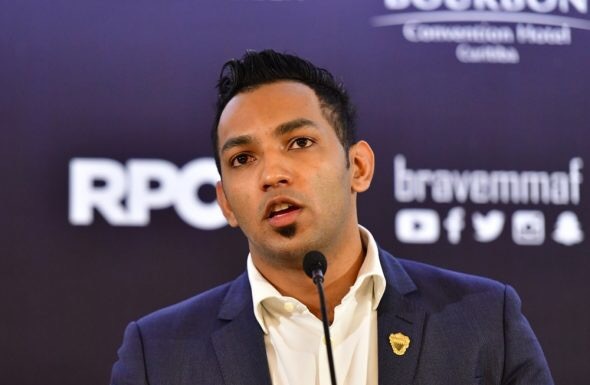 Surprisingly, we haven’t seen a global MMA promotion that has come to Africa to hold an event and utilize that opportunity”, said Shahid. The official was also quick to point out his admiration for Moroccan fighters, praising their heart and will. “Africa is a big continent and has produced a lot of tough fighters. There’s no question that African fighters have so much talent and has some of the best genetics. They are mentally tough and have big hearts. We need to make sure they can benefit from Brave Combat Federation”, explains Shahid, mentioning Ottman Azaitar, Brave’s Lightweight champion, as an example of the Moroccan fighter’s talents. “We have one of the greatest Lightweights fighting for us and currently holding our Lightweight title and he represents Morocco, so this is more motivation for us to come into Morocco”.